My Fashion Week Skincare Secret: MUSELY MASKS. 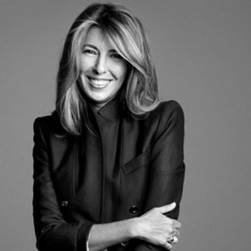 Facing a jam-packed Fashion Week schedule just days away, top fashion journalist, Nina Garcia spills her latest skincare secret that keeps her looking fresh-faced, well-rested and ready to take on the fashion industry’s busiest time of the year! What is it about the Musely masks that you love so much? Musely takes the worry out of my skincare routine. Because the products are all natural and consciously sourced, I’m not concerned about any potentially damaging ingredients. Which is your favorite Musely mask from the collection if you had to choose and why? The anti-aging hydrogel mask set is my go to. With eye, forehead, neck and face masks, I can restore moisture overnight and wake up feeling dewy without the need to layer on creams and serums. When do you find yourself using the Musely masks? All of the time! I’m constantly on the go, so I’m always looking for a quick way to rejuvenate. During fashion week, when I have shows at 8am and parties until midnight, I don’t want my skin to reflect how exhausting my schedule is. Musely masks keep the wrinkles and under-eye bags at bay. 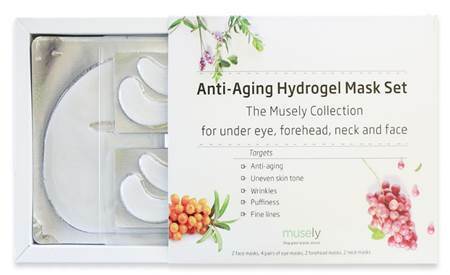 In a sea of sheet masks, Musely’s nanotechnology in hydrogel is world class. The masks are specially designed to slowly and evenly deliver nutrient-rich botanical extracts to smooth fine lines and brighten the complexion over the span of 8 hours. Using only clean ingredients such as sea buckthorn seed extract, prickly pear seed oil, cucumber fruit extract, green tea extract, pomegranate and starflower, Musely’s suite of hydrogel masks dramatically restore the skin’s youth and are available in a variety of shapes and sizes to treat the 4 most common areas of concern for women—face, forehead, under eyes and neck.